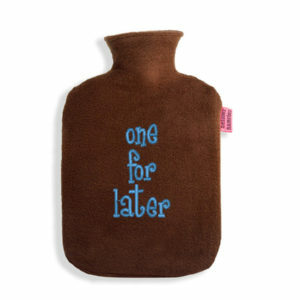 Home>heisser hamster ©>Hot Water Bottle >Love II. 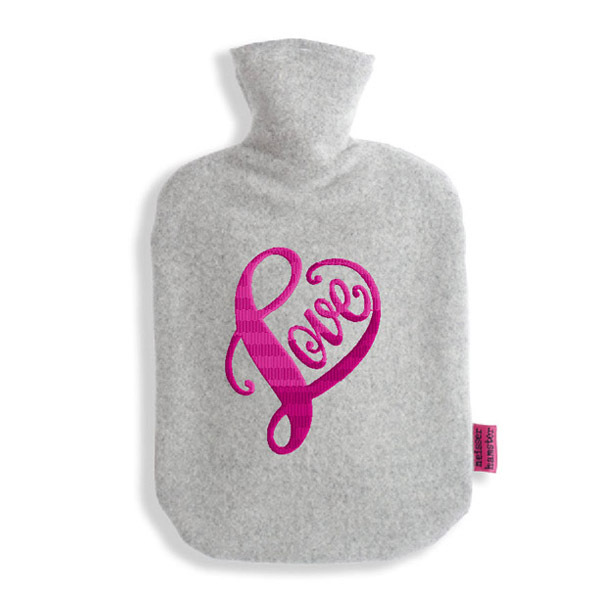 Here you choose a deluxe cover made of 100% merino wool with a Tüv approved hot water bottle. This extremely fine wool comes from merino sheep, who live mainly in Australia, South Africa and South America. The mild climatic conditions in these countries, make the wool is curly, soft and very elastic. Compared to synthetic fabrics merino wool is exceptionally breathable and moisture regulating. This is why it is also suited for children and anyone suffering from allergies. Its natural fat content makes wool inherently soil resistant. 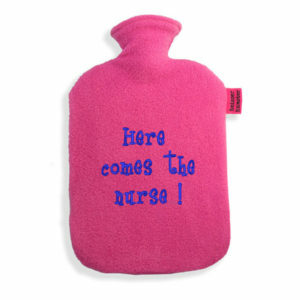 The covers can be washed by hand in detergent for woollens or machine washed at 30° C.
Our hot water bottles are exceptional and come with a series of very good product characteristics. They all comply with the British Standard BS1970:2012 and are additionally tested by the german TÜV Süd. As they fall under the Directive 93/42/ECC of 1993 on medical devices they are marked with the CE marking. They come in brilliant and fade proofed colours. 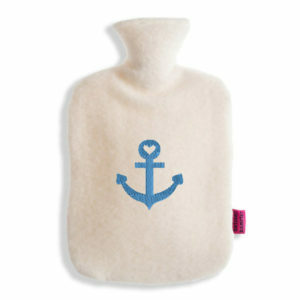 Here you choose a deluxe cover made of 100% merino wool with a Tüv approved hot water bottle. This extremely fine wool comes from merino sheep, who live mainly in Australia, South Africa and South America. The mild climatic conditions in these countries, make the wool is curly, soft and very elastic. Compared to synthetic fabrics merino wool is exceptionally breathable and moisture regulating. This is why it is also suited for children and anyone suffering from allergies. Its natural fat content makes wool inherently soil resistant. The covers can be washed by hand in detergent for woollens or machine washed at 30° C.
Pick your Tüv approved hot water bottle with a cuddly fleece cover. 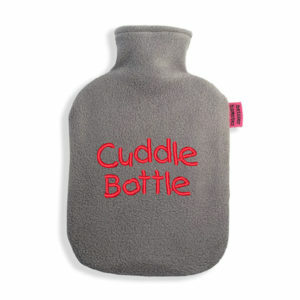 Each hot water bottle is unique, carefully handcrafted by us. A hot gift idea that will make you and your dear friends happy for a long time.